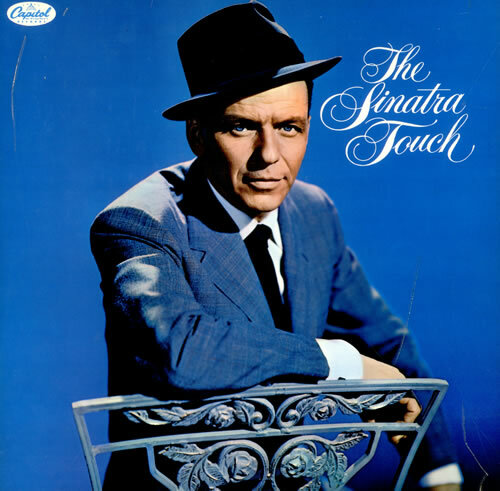 American singer and film actor Frank Sinatra saldy passed away May 14, 1998. Born December 12, 1915, He began his musical career in the swing era with Harry James and Tommy Dorsey, Sinatra found unprecedented success as a solo artist from the early to mid-1940s after being signed to Columbia Records in 1943. Being the idol of the “bobby soxers”, he released his first album, The Voice of Frank Sinatra in 1946. His professional career had stalled by the 1950s, but it was reborn in 1953 after he won the Academy Award for Best Supporting Actor for his performance in From Here to Eternity.He signed with Capitol Records in 1953 and released several critically lauded albums (such as In the Wee Small Hours, Songs for Swingin’ Lovers, Come Fly with Me, Only the Lonely and Nice ‘n’ Easy). Legendary American blues musician, singer, songwriter, and guitarist B B. King passed away 14 May 2015. He was born September 16, 1925 and grew up singing in the gospel choir at Elkhorn Baptist Church in Kilmichael. At the age of 12, he purchased his first guitar for $15.00, although another source indicates he was given his first guitar by Bukka White, his mother’s first cousin (King’s grandmother and White’s mother were sisters). In 1943, King left Kilmichael to work as a tractor driver and play guitar with the Famous St. John’s Quartet of Inverness, Mississippi, performing at area churches and on WGRM in Greenwood, Mississippi. In 1946, King followed Bukka White to Memphis, Tennessee. White took him in for the next ten months. However, King shortly returned to Mssissippi, where he decided to prepare himself better for the next visit, and returned to West Memphis, Arkansas, two years later in 1948. He performed on Sonny Boy Williamson’s radio program on KWEM in West Memphis, where he began to develop a local audience for his sound. King’s appearances led to steady engagements at the Sixteenth Avenue Grill in West Memphis and later to a ten-minute spot on the legendary Memphis radio station WDIA. King’s Spot became so popular, it was expanded and became the Sepia Swing Club.Initially he worked at WDIA as a singer and disc jockey, gaining the nickname Beale Street Blues Boy, which was later shortened toBlues Boy and finally to B.B.It was there that he first met T-Bone Walker. over a period of 64 years, King played in excess of 15,000 performances. A feature documentary about B.B. King narrated by Morgan Freeman, was released on October 15, 2012. King was inducted into the Rock and Roll Hall of Fame in 1987. He is one of the most influential blues musicians of all time, earning the nickname “The King of Blues”, and one of the “Three Kings of the Blues Guitar” (along with Albert King and Freddie King). Rolling Stone magazine ranked him at No. 6 on its list of the 100 greatst guitarists of all time , and he was ranked No. 7 in Gibson’s “Top 50 Guitarists of All Time”. Throughout his musical career King performed tirelessly, appearing at 250-300 concerts per year until his seventies. In 1956 it was noted that he appeared at 342 shows. Over the years, King developed one of the world’s most identifiable guitar styles. He borrowed from Blind Lemon Jefferson, T-Bone Walker and others, integrating his precise and complex vocal-like string bends and his left hand vibrato, he has inspired thousands of players, from Eric Clapton and George Harrison to Jimmy Page and Jeff Beck. King has mixed blues, jazz, swing, mainstream pop and jump into a unique sound. English novellist Sir Henry Rider Haggard, KBE sadly died 14 May 1925. He was born 22 June 1856 in Bradenham, Norfolk, and studied at Garsington Rectory in Oxfordshire under Reverend H. J. Graham but unlike his older brothers who graduated from various private schools, he attended Ipswich Grammar School. In 1875, Haggard’s father sent him to South Africa, to take up an unpaid position as assistant to the secretary to Sir Henry Bulwer, Lieutenant-Governor of the Colony of Natal. In 1876 he was transferred to the staff of Sir Theophilus Shepstone, Special Commissioner for the Transvaal. I was in this role that Haggard was present in Pretoria in April 1877 for the official announcement of the British annexation of the Boer Republic of the Transvaal. In 1878 he became Registrar of the High Court in the Transvaal, and wrote to his father informing him that he intended to return to England. When Haggard eventually returned to England, he married a friend of his sister, (Mariana) Louisa Margitson in 1880. And they settled in Ditchingham, Norfolk, Louisa’s ancestral home. Later they lived in Kessingland and had connections with the church in Bungay, Suffolk. The children’s charity National Society for the Prevention of Cruelty to Children was launched in London on 14 May 1889 to campaign for and work towards child protection in England, Wales, Northern Ireland and the Channel Islands.It was founded after Liverpool businessman Thomas Agnew visited the New York Society for the Prevention of Cruelty to Children. He was so impressed by the charity, that he returned to England determined to provide similar help for the children of Liverpool. In 1883 he set up the Liverpool Society for the Prevention of Cruelty to Children (LSPCC). Other towns and cities began to follow Liverpool’s example, leading in 1884 to the founding of the London Society for the Prevention of Cruelty to Children (London SPCC) by Lord Shaftesbury, Reverend Edward Rudolf and Reverend Benjamin Waugh. After five years of campaigning by the London SPCC, Parliament passed the first ever UK law to protect children from abuse and neglect in 1889.The London SPCC was renamed the National Society for the Prevention of Cruelty to Children in 1889, because by then it had branches across Great Britain and Ireland. The NSPCC was granted its Royal Charter in 1895, when Queen Victoria became its first Royal Patron. It did not change its title to “Royal Society for the Prevention of Cruelty to Children” or similar, as the name NSPCC was already well established, and to avoid confusion with the Royal Society for the Prevention of Cruelty to Animals (RSPCA), which had already existed for more than fifty years. Today, the NSPCC works in England, Wales, Northern Ireland, and the Channel Islands. Children 1st – formerly the Royal Scottish Society for the Prevention of Cruelty to Children – is the NSPCC’s equivalent in Scotland. The NSPCC’s organisation in the Republic of Ireland was taken up by the Irish Society for the Prevention of Cruelty to Children (ISPCC), founded in 1956 as a replacement for the NSPCC. The NSPCC is the only UK charity which has been granted statutory powers under the Children Act 1989, allowing it to apply for care and supervision orders for children at risk. American Producer screenwriter, director and Entreprenuer George Lucas was born in Modesto California (14 May 1944 actually). He is best known as the creator of the epic science fiction franchise Star Wars and the archaeologist-adventurer character Indiana Jones and is one of the American film industry’s most financially successful directors/producers. Lucas grew up in Modesto and his early passion for cars and motor racing would eventually serve as inspiration for his USC student film 1:42.08, as well as his Oscar-nominated low-budget phenomenon, American Graffiti. Lucas originally wanted to be a race-car driver. However, a near-fatal accident on June 12, 1962, changed his mind and he attended Modesto Junior College instead and got accepted into a junior college where he developed a passion for cinematography and camera tricks. After Graduating George Lucas met an experimental filmmaker who toured local coffee houses and screened the work of underground, avant-garde 16 mm filmmakers. Lucas regularly went to San Francisco to hang out in jazz clubs and find news of these screenings. Already a promising photographer, Lucas became infatuated with these abstract films and transferred to the University of Southern California School of Cinematic Arts. where he became very good friends with fellow acclaimed student filmmaker and future Indiana Jones collaborator, Steven Spielberg. Lucas was also deeply influenced by the Filmic Expression course taught at the school & saw many great films, which inspired him to make many 16 mm nonstory noncharacter visual tone poems and cinéma vérité concentrating on camerawork and editing, defining himself as a filmmaker as opposed to being a director. After graduating with a bachelor of fine arts in film, Lucas re-enrolled as a USC graduate student in film production. and directed the short film Electronic Labyrinth: THX 1138 4EB, which won first prize at the 1967–68 National Student Film Festival, and was later adapted into his first full-length feature film, THX 1138. Lucas was also awarded a student scholarship by Warner Brothers.Aside from the nine short films he made in the 1960s, he also directed six major features. His work from 1971 and 1977 as a writer-director, which established him as a major figure in Hollywood, and consists of just three films: THX 1138, American Graffiti, and Star Wars. Lucas acted as a writer and executive producer on another successful Hollywood film franchise, the Indiana Jones series.In addition, he established his own effects company, Industrial Light and Magic (ILM), to make the original Star Wars film. Lucas also co-founded the studio American Zoetrope with Francis Ford Coppola—whom he met at Warner Brothers, and then created his own company, Lucasfilm, Ltd. His new-found wealth and reputation enabled him to develop a story set in space – Star Wars, which quickly became the highest-grossing film of all-time, displaced five years later by Spielberg’s E.T.the Extra-Terrestrial. Due to the overwhelming success of Star Wars George was able to finance the sequel “Empire Strikes Back” himself.Since Star Wars, Lucas has worked extensively as a writer and/or producer, on the many Star Wars spinoffs made for film, TV, and other media, and was also executive producer for the next two Star Wars films as well as as executive producer and story writer on all four of the Indiana Jones films. 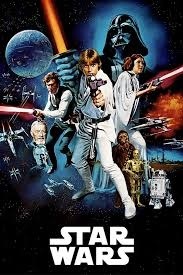 For the 20th anniversary of Star Wars, Lucas was able to enhance the trilogy and add certain scenes using newly available digital technology, which were released as the Star Wars Trilogy: Special Edition. In 1994, Lucas began work on the prequel Star Wars Episode I: The Phantom Menace, which was released in 1999, beginning a new trilogy of Star Wars films. Lucas also directed Star Wars Episode II: Attack of the Clones and Star Wars Episode III: Revenge of the Sith. In 2008, he also reteamed with Spielberg for Indiana Jones and the Kingdom of the Crystal SkullThe American Film Institute awarded Lucas its Life Achievement Award on June 9, 2005, shortly after the releaseof Star Wars Episode III: Revenge of the Sith, and On June 5, 2005, Lucas was named among the 100 “Greatest Americans” by the Discovery Channel,and was also nominated for four Academy Awards: Best Directing and Writing for American Graffiti, and Best Directing and Writing for Star Wars. He received the Academy’s Irving G. Thalberg Award in 1991. He appeared at the 79th Academy Awards ceremony in 2007 with Steven Spielberg and Francis Ford Coppola to present the Best Director award to their friend Martin Scorsese.On June 17, 2006, the Science Fiction Hall of Fame inducted George Lucas and three others and On August 25, 2009, Governor Arnold Schwarzenegger and Maria Shriver announced that Lucas would be one of 13 California Hall of Fame inductees in The California Museum’s yearlong exhibit. Then On September 6, 2009, Lucas, along with the the Pixar team was presented with the Golden Lion for Lifetime Achievement at the 2009 Biennale Venice Film Festival. George Lucas is also involved in the latest Star Wars films episode VII The Force Awakens, and episode VIII The Last Jedi starring Daisy Ridley, John Boyega, Adam Driver, Harrison Ford, Carrie Fisher, Laura Dern and Benicio de Toro. The fortieth anniversary celebration of the release of Star Wars also takes place 25 May 2017.